As content curation and aggregation grow, questions about legality, ethics, copyright and fair use continue to swirl about it. Is content curation plagiarism? Is content aggregation stealing? These and other headlines testify to the murkiness surrounding curation and aggregation on the web. I think this is fundamentally due to the disruptive nature of curation and aggregation on physical media. There have actually been lawsuits filed with results that are now part of the case law in this area. For a detailed look at the cases and actual legal points that are germane to curators and aggregators, What’s the law around aggregating news online? A Harvard Law report on the risks and the best practices from niemanlab.org is the best I’ve found. Read it and you will gain an understanding of ideas such as Fair Use, Copyright case law and ‘hot news misappropriation’ that make up the legal framework in this area. If reading a legal article is not for you, or you would like to get more of a ‘real world’ view then Content Curation: Copyright, Ethics & Fair Use by Pawan Deshpande the CEO of Curata is a great overview. He provides an approachable review of the previous legal article, and adds another 7 best practices for any content curator or aggregator. He then proceeds to grade several sites on their use of content curation best practices. 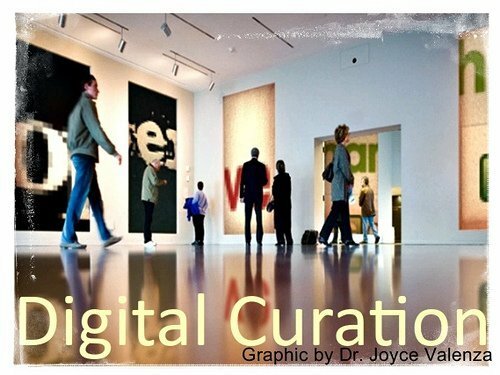 Very eye opening and a great look at real world content curation practices. Mallary talked with editors and publishers at several prominent new sites about their analysis and judgements that impact their aggregation strategies. While the focus is on aggregation in this piece, I found the nuanced discussions of editorial voice, types of content and respect for the original content very interesting. I think it can help you think through your own content curation or aggregation strategies. The article Aggregation and curation: two concepts that explain a lot about digital change by Mike Shatzkin was published back in 2009. In it Mike identifies curation and aggregation as two key concepts driving the change in media businesses. I think this is a key reason why the legal and ethical framework around curation and aggregation is so unsettled. We are in the midst of disruptive changes to the physical media environment of music, newspapers, TV and books. Digital content can be broken down and subdivided almost endlessly. This means that any specific element of content can be ‘captured’ and distributed in an endless variety of digital media. The value of this to consumers is clear and is driving the process. The roles of curators, aggregators, media, brands, content creators, publishers and everyone else in the ‘supply chain’ is constantly changing at this point. As a result, I think we will continue to see best practices, ethics and even law evolve over time as this process plays out. We’ll try to keep track of these issues over time on our blog. Will Your Site Ever Be “Quality” In Google’s Eyes? A Feed is not Producing any Articles – What Now?